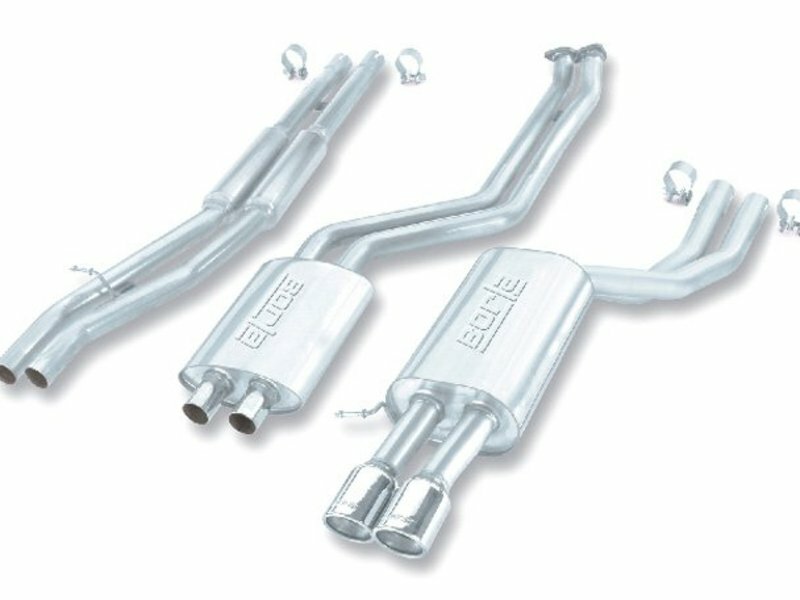 This Borla exhaust for the 2004-2005 E60 525i and 530i has a much deeper and aggressive sound than the stock muffler system. If you have felt that you're missing out on hearing the BMW six-cylinder then this is a great upgrade for you. 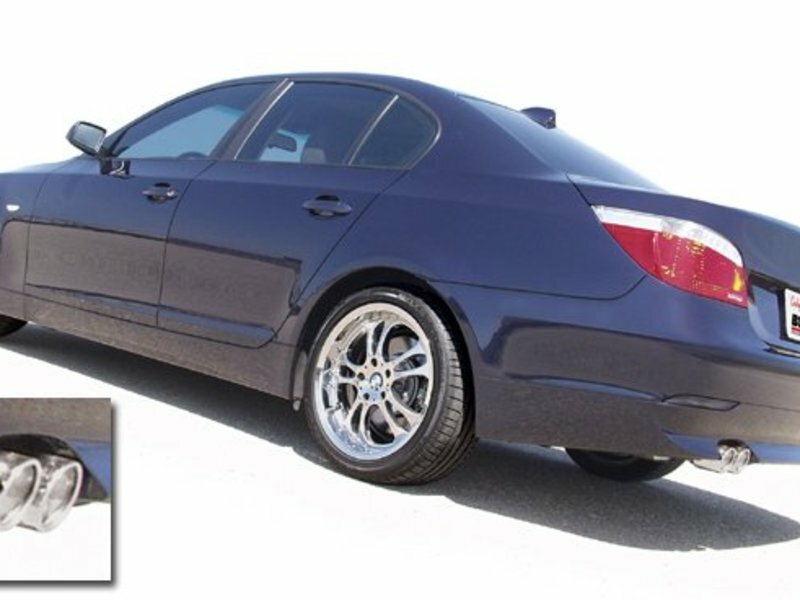 This Borla system replaces the entire E60 factory exhaust system and includes a center resonator and freer-flowing rear muffler. It mounts to the factory header/catalytic converter making for a true cat-back exhaust. This exhaust is tuned for the 525i/530i to make more rumble and throatier sound than the original without being excessively loud. It sounds much more like the V8 models! Borla also builds this exhaust to be lighter than the original - improving performance by decreasing weight. 2004-2005 E60 BMW 525i 530i - not for Xi models.